Sink into style in our Dune Barstool, which features a sizable seating area and attractive design. The Dune barstool has foam cushioning underneath the White polyurethane upholstery and metal laser cut circle patterns on the back. 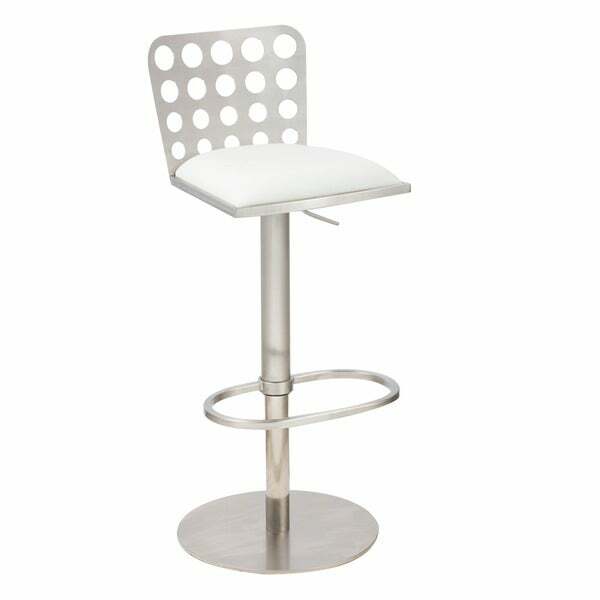 Thanks to it's hydraulic piston legs, you can regulate between counter and bar height and has a stainless steel finish plated foot rest and base allows you to reach a comfortable position. It is unique, charming and makes a wonderful statement in your contemporary home. "Are these stools brushed silver or shined? Are they sturdy( won’t tip easily?)"